RightBooth works best when your webcam is connected to a USB 2.0 port or USB 3.0 port on your computer. But is there any easy way to tell which port is which? You can use Device Manager. Run Device Manager on your computer (type Device Manager into the Start box). 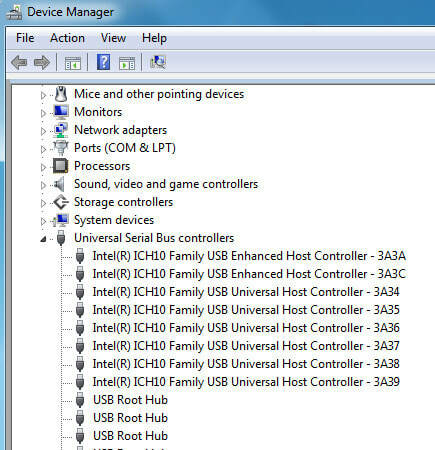 In the "Device Manager" window, click the + (plus sign) or the small arrow next to Universal Serial Bus controllers. You will then see a list of the USB ports installed on your computer. If your USB port name contains "Universal Host", your USB port is version 1.1. If the port name contains "Enhanced Host" or "EHCI", your USB port is version 2.0. 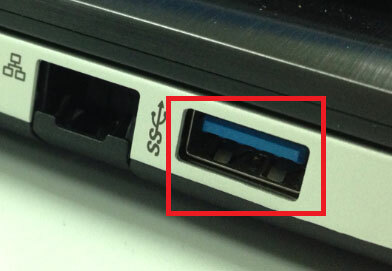 If the port name contains "USB 3.0", your port is version 3.0.